Many older adults live in ethnically diverse rural settings where they face a higher burden of developing Alzheimer’s disease (AD) as well as delayed detection due to health inequities. Furthermore, cultural perceptions about aging could add to disparities in recognizing and treating AD in these populations. According to the Alzheimer’s Association, the 400 percent increase in Medicaid/Medicare and out-of-pocket spending for AD care of $259 billion in 2017 highlights the need for preventive care, especially among higher-risk underserved rural groups. Researchers from Florida Atlantic University’s Christine E. Lynn College of Nursing have addressed this need by developing a novel tool called the “Basic Knowledge of Alzheimer’s Disease” (BKAD). The survey consists of 32 items used to measure and assess AD knowledge in rural and underserved communities, based on topics related to symptoms, risk factors, screening, prevention, treatment and care. “We must provide culturally effective Alzheimer’s disease education to correct misconceptions, decrease stigma, and bring awareness to the need for routine cognitive screening in populations at risk,” said Lisa Kirk Wiese, Ph.D., senior author and an assistant professor in FAU’s College of Nursing, who developed the BKAD with co-authors Christine L. Williams, DNsc, a professor and director of the Ph.D. program, and Ruth Tappen, Ed.D., the Christine E. Lynn Eminent Scholar and Professor, both in FAU’s College of Nursing. 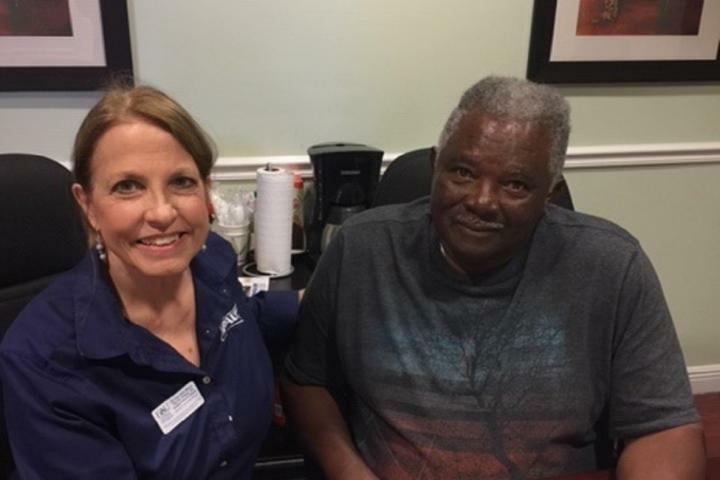 Important sociodemographic findings show that almost all Florida Glades participants (99 percent) wanted to participate in memory screenings as compared to Appalachian participants (62 percent). Slightly more Florida Glades participants saw providers routinely (94 percent) as compared to Appalachian participants (88 percent). Yet, about the same number (22 and 25 percent respectively) reported previous memory screening by a provider. Interestingly, Appalachian participants had higher average years of education and health literacy compared to the Florida Glades participants. Only 66 percent of the Florida Glades participants graduated high school and only 20 percent attended school beyond the eighth grade. David Newman, Ph.D., an associate professor and statistician in FAU’s College of Nursing also co-authored the study. FAU’s Christine E. Lynn College of Nursing is nationally and internationally known for its excellence and philosophy of caring science. The college is ranked No.1 in online graduate nursing programs in Florida and No. 23 in the nation by U.S. News and World Report. In 2017, with a 100 percent pass rate on the National Council Licensure Examination for Registered Nurses (NCLEX-RN®), FAU BSN graduates, first-time test takers, ranked among the highest (No.1) in Florida and the United States. FAU’s Christine E. Lynn College of Nursing is fully accredited by the Commission on Collegiate Nursing Education (CCNE). For more information, visit nursing.fau.edu.